You have to enter the Wings Of the Tropics exhibit at Fairchild Tropical Botanic Garden in Coral Gables through three sealed doors. That's so the beautiful creatures contained within stay there. 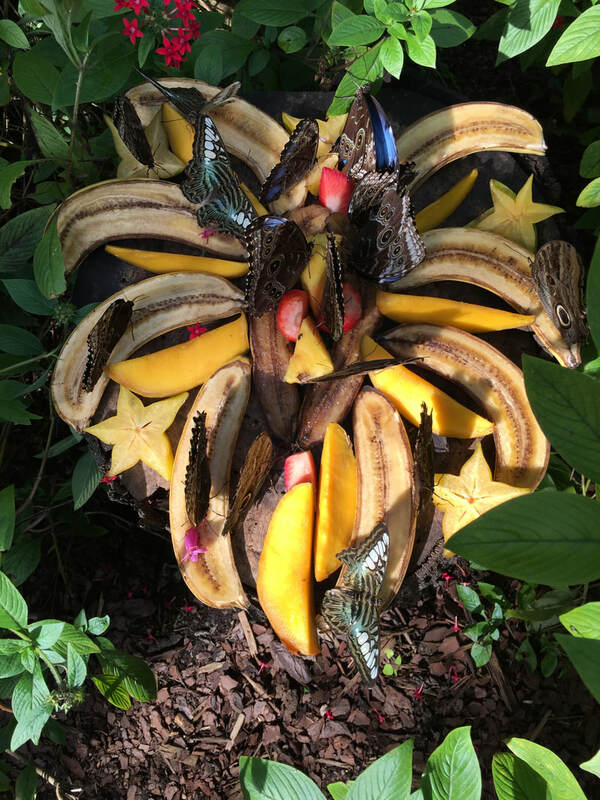 Those beautiful creatures are exotic butterflies -- hundreds of them, in every color and size, flapping their wings through a tropical rainforest. 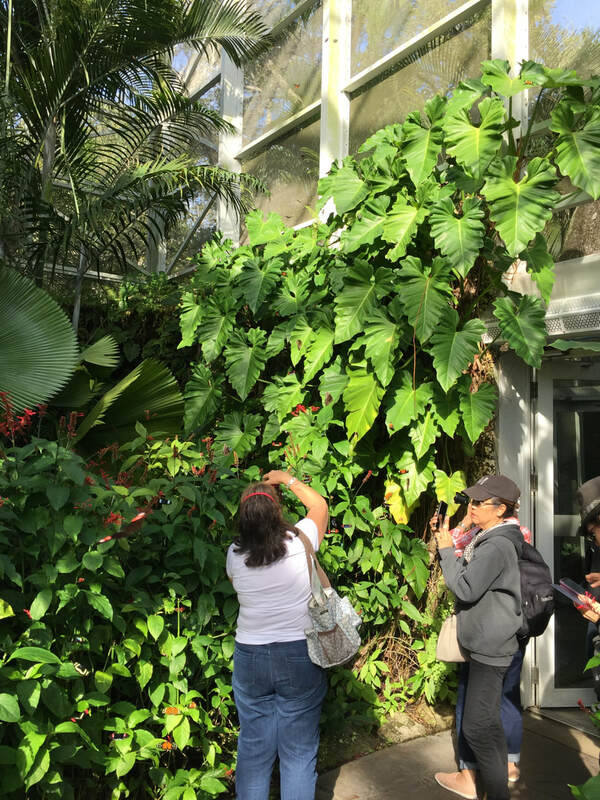 You are inside the Clinton Family Conservatory, "a one-of-a-kind experience, enhanced further by a stunning display of tropical plants and orchids." Everywhere you look ... butterflies! 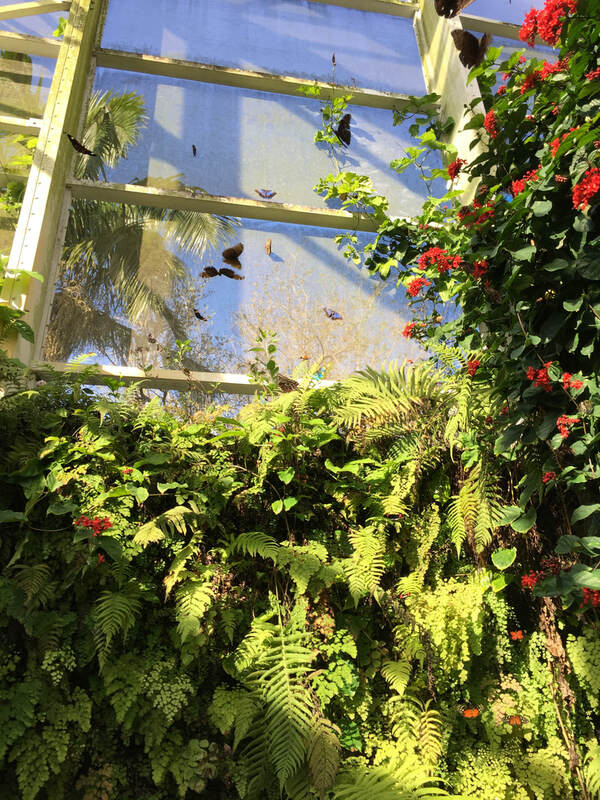 Visitors are delighted when the butterflies hitch a ride. 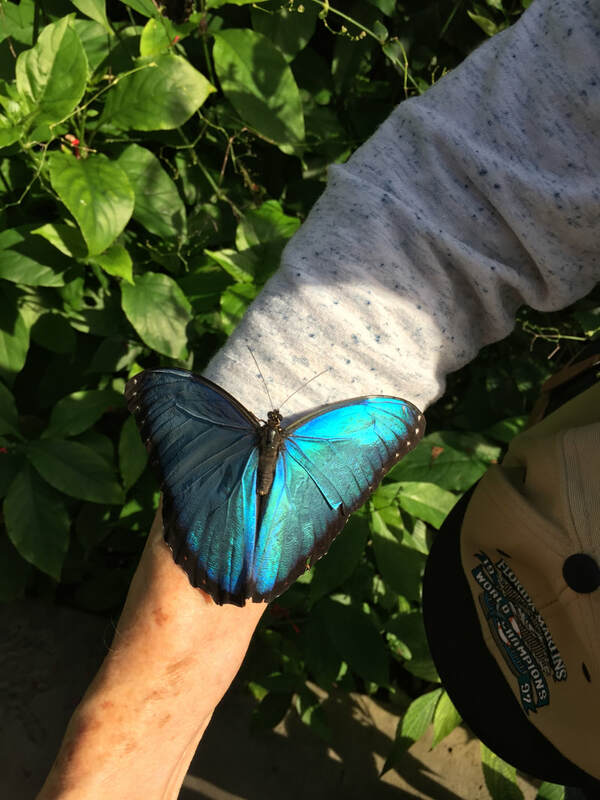 These Blue Morphos are right at home on a sleeve or hat. Note that when you exit the exhibit, there are mirrors so you can check yourself for any stragglers. ​​​The Blue Morpho, which hails from the rainforests of Central and South America, is one of the largest of all butterflies. Its bright, iridescent blue wings make it a visitor favorite.